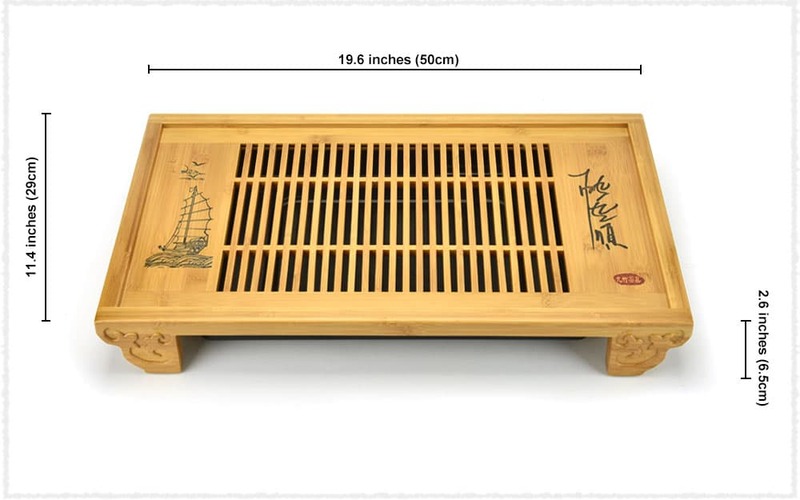 This tea tray has clear texture and natural color. Its patterns bear the implication of sailing smoothly. 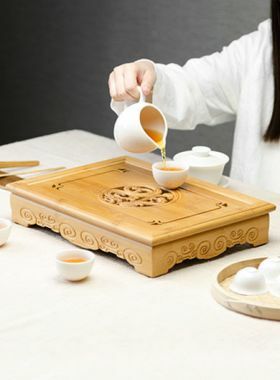 One the left of the tea tray it is carved a sailing boat and flying birds, which means everything is going well; on the right it is carved four character idioms in Chinese “ 一帆风顺”, which is usually used to mean that there is no obstacle and everything is going smoothly. 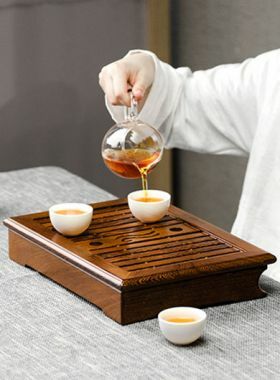 In the middle the neatly arranged bamboo strips are simple and beautiful, which makes the tea liquid and brewed tea leaves flowing into the drawer and keeps the tray neat and clean. Besides, its drainage design also supports dual use, which can drain or store water. 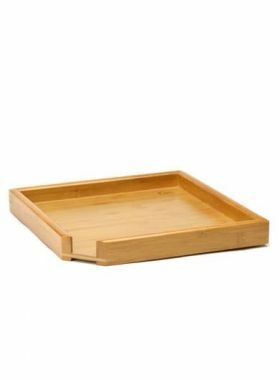 This fresh pastoral style, simple and aesthetic bamboo tea tray also will add some casual and primeval beauties to our tea life.